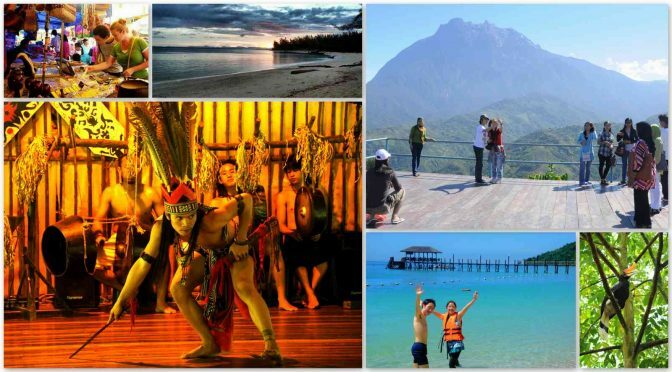 The state of Sabah, Malaysia, on the northern part of Borneo is famous among tourists around the world for its eco-tourism. There are so many to do here, ranging from diving around oceanic island to exploring the colorful marine life, snorkeling in crystal clear waters, climbing one of the highest mountain in South East Asia, jungle trekking in the dense virgin rain forest or just simply exploring and experiencing the people here, which comprises people from different cultural and ethnicity and of course, this also means tasting of varieties foods that you may not be able to enjoy anywhere else. Kota Kinabalu (used to be known as Api-Api and Jesselton) is the state capital of Sabah. The state’s only International Airport is located here so if you’re visiting Sabah from other countries, most probably you will drop by at this city. The city itself has a lot to offer and in case your time of visiting is limited, why not consider the top 5 most visited places in Kota Kinabalu listed below.